The steps below, will provide information for the distribution on machines where users have not administrative rights on. 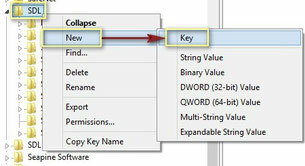 Note:&#xA0;You can open the&#xA0;Run&#x2026;&#xA0;dialog with the keyboard shortcut&#xA0;[Windows key + R]. 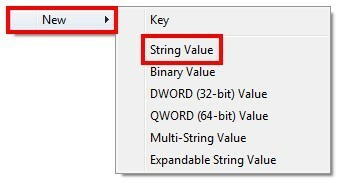 Double-click on the&#xA0;UseLicenseServer string value. Enter the hostname of the computer where the SDL Licensing Server Manager is installed. NOTE:&#xA0;Replace the [dedicated server name] with the computer name where the SDL Licensing Server Manager is installed. Press&#xA0;Enter&#xA0;to confirm the change and then double-click on the&#xA0;CheckedOutEdition&#xA0;string value. Press&#xA0;Enter&#xA0;to confirm the change and then double-click on the&#xA0;CheckedOutFeatures&#xA0;string value. NOTE:&#xA0;The following is a summarized version of the procedure; an IT technician who creates the silent installations or registration key would normally know how to do this. 1. Open a text editor, for example Notepad. NOTE: Replace&#xA0;[dedicated server name]&#xA0;with the name of the machine on which you installed the SDL License Server Manager.